Eastman Kodak Company announced on Monday that it will sell its business imaging assets to popular printer maker Brother for $210 million. Kodak's business imaging business consists of enterprise scanners, software and services, the company explained in a release. The deal still needs court approval, and Kodak says it has the right to seek a better offer before the court green lights Brother's offer. "This proposed sale is another key step in Kodak's path to emergence – it moves us closer to realizing our strategic vision for Kodak's future," said Kodak chairman and CEO Antonio M. Perez. 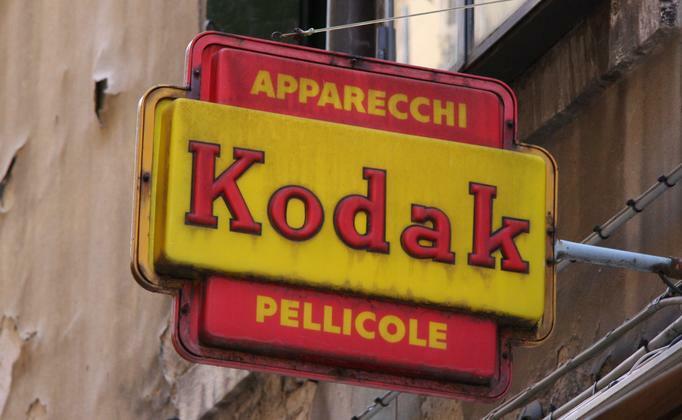 Kodak announced in January 2012 that it had plans to file Chapter 11 bankruptcy and was recently approved to borrow $844 million in an effort to turn itself around. It's also in talks with a consortium of companies including Apple, HTC, BlackBerry and Google to sell off its portfolio of patents for $525 million. Eastman Kodak Company has reached agreement with Brother Industries, Ltd., for the proposed sale of certain assets of its Document Imaging business for a cash purchase price of approximately $210 million, subject to certain price adjustments at closing. In addition, Brother will assume deferred service revenue liability of the business, which totaled approximately $67 million as of December 31, 2012. Kodak's Document Imaging business provides a comprehensive portfolio of scanners, capture software and services to enterprise customers. Brother is a leading global manufacturer of laser, label and multi-function printers, as well as fax machines and sewing machines. Consummation of the transaction with Brother is subject to court approval and a marketing period in which Kodak may seek to obtain a higher or better offer for the business, alone or in combination with other businesses, including through a court-approved auction. Kodak's ability to continue to explore alternatives during the marketing period will ensure that Kodak obtains the maximum value for the business. Consummation is also subject to satisfying customary closing conditions, including required regulatory approvals. "This proposed sale is another key step in Kodak's path to emergence – it moves us closer to realizing our strategic vision for Kodak's future," said Antonio M. Perez, Chairman and Chief Executive Officer. "A sale to Brother, should they prevail, would represent an excellent outcome for Document Imaging's customers, partners and employees." "Document Imaging has many differentiating strengths, including an outstanding global customer base, award-winning software and hardware solutions, strategic reseller partners and a comprehensive service and support network," Perez said. "We are pleased that under this agreement with Brother, Document Imaging will continue to strengthen its position as a leader of information capture and management solutions for enterprise customers," said Kruchten. "Our valued customers will receive the highest quality products, world-class customer service and reseller support that have been the hallmarks of our business." This document includes "forward-looking statements" as that term is defined under the Private Securities Litigation Reform Act of 1995. Forward-looking statements include statements concerning the Company's plans, objectives, goals, strategies, future events, future revenue or performance, capital expenditures, liquidity, financing needs, business trends, and other information that is not historical information. When used in this document, the words "estimates," "expects," "anticipates," "projects," "plans," "intends," "believes," "predicts," "forecasts," or future or conditional verbs, such as "will," "should," "could," or "may," and variations of such words or similar expressions are intended to identify forward-looking statements. All forward-looking statements, including, without limitation, management's examination of historical operating trends and data are based upon the Company's expectations and various assumptions. Future events or results may differ from those anticipated or expressed in these forward-looking statements. Important factors that could cause actual events or results to differ materially from these forward-looking statements include, among others, the risks and uncertainties described in more detail in the Company's most recent Annual Report on Form 10-K for the year ended December 31, 2012, under the headings "Business," "Risk Factors," and "Management's Discussion and Analysis of Financial Condition and Results of Operations–Liquidity and Capital Resources," and those described in filings made by the Company with the U.S. Bankruptcy Court for the Southern District of New York and in other filings the Company makes with the SEC from time to time, as well as the following: the Company's ability to successfully emerge from Chapter 11 as a profitable sustainable company; the ability of the Company and its subsidiaries to develop, secure approval of and consummate one or more plans of reorganization with respect to the Chapter 11 cases; the Company's ability to improve its operating structure, financial results and profitability; the ability of the Company to achieve cash forecasts, financial projections, and projected growth; our ability to raise sufficient proceeds from the sale of businesses and non-core assets; the businesses the Company expects to emerge from Chapter 11; the ability of the company to discontinue certain businesses or operations; the ability of the Company to continue as a going concern; the Company's ability to comply with the Earnings Before Interest, Taxes, Depreciation and Amortization (EBITDA) covenants in its debtor-in-possession credit agreements; our ability to obtain additional financing; the potential adverse effects of the Chapter 11 proceedings on the Company's liquidity, results of operations, brand or business prospects; the outcome of our intellectual property patent litigation matters; the Company's ability to generate or raise cash and maintain a cash balance sufficient to comply with the minimum liquidity covenants in its debtor-in-possession credit agreements and to fund continued investments, capital needs, restructuring payments and service its debt; our ability to fairly resolve legacy liabilities; the resolution of claims against the Company; the Company's ability to retain key executives, managers and employees; the Company's ability to maintain product reliability and quality and growth in relevant markets; our ability to effectively anticipate technology trends and develop and market new products, solutions and technologies; and the impact of the global economic environment on the Company. There may be other factors that may cause the Company's actual results to differ materially from the forward-looking statements. All forward-looking statements attributable to the Company or persons acting on its behalf apply only as of the date of this document, and are expressly qualified in their entirety by the cautionary statements included in this report. The Company undertakes no obligation to update or revise forward-looking statements to reflect events or circumstances that arise after the date made or to reflect the occurrence of unanticipated events.